Putting more money in your pocket, the Costco Anywhere Visa® Business Card by Citi helps Costco members make the most out of everyday purchases (Citi is a CardRatings advertiser). The Costco Anywhere Visa® Business Card by Citi is ideal for those small business owners looking for a rewards card to be used for gas, travel, restaurants and frequent Costco purchases. Earn a high 4 percent back on up to $7,000 spent annually at gas stations, making this a great choice for road warrior businesses. Your rewards can be redeemed to make purchases at Costco or for cash back. Feel free to take this card with you if your business takes you abroad – you won't be charged foreign transaction fees. Reward certificates are issued once a year, so there's no option to redeem as you earn. You'll need to visit a Costco location in order to redeem your annual reward certificate. What we like best about this card is the ability to earn up to 4 percent cash back on gas purchases; that's one of the best gas rewards rates out there, so it could mean big returns for business owners who find themselves on the road often. That said, you'll only earn 4 percent on the first $7,000 spent each year with the card (and 1 precent on every dollar spent after that), and there are some limitations to which type of gas stations are eligible, but that $7,000 in gas purchases alone will put $280 back in your pocket. This is a great reward for commuters and frequent road trippers. We also like that you can earn an unlimited 3 percent cash back on restaurant and travel purchases, as well as 2 percent cash back on all Costco and Costco.com purchases. Since Costco sells so much more than just giant jars of pickles, there are a lot of opportunities for cardholders to quickly rack up rewards. Consider things like office furniture, coffee for the break room, office supplies and more. Whether buying electronics or household goods, thanks to that 2 percent cash back incentive, cardholders can easily save money just by shopping at their favorite wholesale store. Keep in mind, too, that Visa cards are the only cards accepted at Costco, so if a lot of your business purchases happen at Costco but your credit card isn't a Visa card, you're missing out on rewards. The Costco Anywhere Visa® Business Card by Citi solves that problem. While earning rewards with the Costco Anywhere Visa® Business Card by Citi is simple, redeeming those rewards is a little more complicated. With the Costco Anywhere Visa® Business Card by Citi, cardholders receive an annual credit card reward certificate with their February Costco membership renewal statement, which can be redeemed through Dec. 31 of the year issued in a single transaction at any U.S. Costco warehouse for merchandise or cash back. The process is pretty simple, but we just don't love that rewards can only be redeemed once a year, and in person. For those predominately using their card online, a trip to the store may be seen as an inconvenience. Plus, you must maintain your Costco membership to receive and redeem the credit card reward certificate; so if your membership expires and is not renewed during your redemption period, you might miss out on your cash back bonus. There isn't technically an annual fee with this card, but you could consider your Costco membership to be sort of an annual fee. The Capital One® Spark® Cash for Business card is a flat-rate cash-back rewards small business credit card that could be a better option for businesses whose purchases aren't disproportionately gathered in a single category. In other words, if you spend in a lot of different places, the Capital One® Spark® Cash for Business is likely a better card for you than the Costco Anywhere Visa® Business Card by Citi. With the Capital One card, you earn 2 percent cash back on all your purchases, with no limits or spending caps. With the Capital One® Spark® Cash for Business bonus, you can earn a one-time $500 cash bonus when you spend $4,500 in the first three months of opening your account. There is an annual fee of $95 (waived for the first year) with the Capital One® Spark® Cash for Business, so if you don't spend enough to offset that fee, the Costco Anywhere Visa® Business Card by Citi could be a better option. 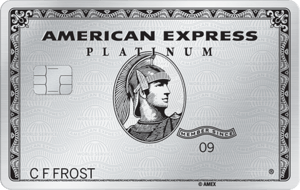 If you have a personal Chase card, you may already be familiar with Chase's Ultimate Rewards® program. Well, the Ink Business Preferred℠ Credit Card takes it to the next level in that Ultimate Rewards® points are worth 25 percent more when redeemed for travel by Ink Business PreferredSM Credit Card members. That means that the 80,000 bonus points you can earn by spending $5,000 in the first three months are worth $1,000 in travel. 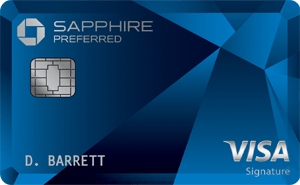 Beyond the intro bonus, the Ink Business Preferred℠ Credit Card is another tiered categories rewards card like the Costco Anywhere Visa® Business Card by Citi. In the case of the Chase card, though, you earn three times the points on a variety of business purchases (up to a combined $150,000 spent annually) including purchases in travel, shipping, some telecommunications services and advertising purchases made with social media and search engines. There is a $95 annual fee with the Ink Business Preferred℠ Credit Card, but it is an option if the categories better align with your business' spending that those of the Costco Anywhere Visa® Business Card by Citi. Similar to the Costco Anywhere Visa® Business Card by Citi, the Bank of America® Business Advantage Cash Rewards Mastercard® credit card is a tiered rewards cash-back business card. Again, you'll need to consider where you spend the bulk of your money to determine which card is best for you. In the case of the Bank of America® Business Advantage Cash Rewards Mastercard® credit card you can earn 3% at gas stations (default), office supply stores, on travel, TV/telecom and wireless, computer services or business consulting; 2% cash back on dining (for the first $50,000 in combined choice category/dining purchases each calendar year 1% thereafter); and 1% cash back on all other purchases. Given that the cap is so much higher on gas and office supply purchases, you could stand to earn quite a bit more back if gas is the primary expense for your business. Keep in mind that the Bank of America® Business Advantage Cash Rewards Mastercard® credit card is, as the name indicates, a Mastercard – that means it can't be used to make purchases at brick-and-mortar Costco warehouses. There's no annual fee with the Bank of America card. Thanks to *no annual fees with your paid Costco membership and high percentage cash-back rates, the Costco Anywhere Visa® Business Card by Citi is ideal for business owners looking to earn cash-back rewards on everyday expenses like gas, travel, Costco bulk goods and eating out. However, because rewards can only be redeemed once a year in store, it might not be ideal for those looking to cash in on their rewards multiple times a year or for those who can't easily make it into a Costco store.